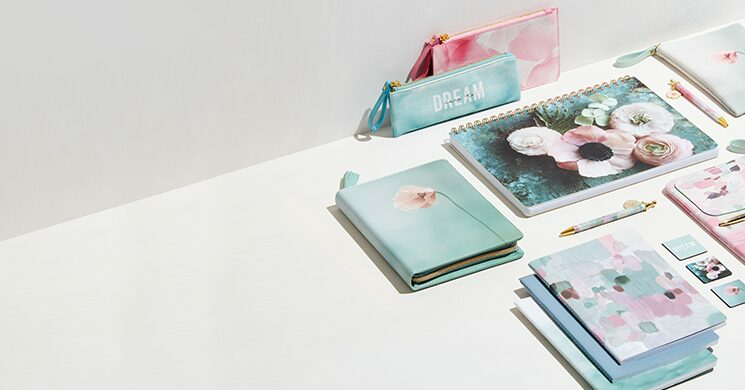 Refresh your desk with a pop of spring with new journals, notebooks, bookmarks and more from Indigo Paper. The Paper department at Indigo.ca: Are you looking for a gift for that organized friend who writes down their upcoming appointments, their to-do lists, or someone who enjoys bullet journaling? Shop our selection of agendas, day planners, calendars, notebooks, journals and bullet journals from brands like Leuchtturm1917, Moleskine, kikki.K, Kate Spade New York, Poppin, Rhodia, and more. And don’t forget about The Five Minute Journal - it always makes a great gift. Curl up on the couch with your favourite book and all the right reading accessories like lap desks, booklights, bookmarks, and book holders. Throwing a birthday party, a wedding shower, a baby shower, or a small get-together with close friends? You'll need party decorations like bridal balloons and bridal decal, baby balloons, birthday balloons, and other party essentials. Don’t forget the photo albums to collect all the special memories and thank you cards to thank all of your guests for a wonderful time. Our selection of stationery, gift wrap, and greeting cards will help you celebrate life’s important moments. Free shipping on orders over $25.